“Late Night” host Seth Meyers asked Graham, who has previously urged his GOP colleagues to break from the party on environmental issues, if he’s “surprised” to find so many climate change deniers in the party’s ranks. “My initial impression is that this deal is far worse than I ever dreamed it could be and will be a nightmare for the region, our national security and eventually the world at large,” Graham told me in an interview early Tuesday morning, just after Iran, China, France, Russia, Britain, the U.S. and Germany confirmed they had reached terms for a historic deal to limit Iran’s nuclear program in exchange for sanctions relief. The “P5 powers” (permanent members of the U.N. Security Council), the U.S., Britain, France, Russia, China, “plus” Germany, did not negotiate this deal in a vacuum. Each of the P5 powers is a nuclear weapons power (Germany has a domestic nuclear energy program) and brought its top nuclear science experts in to advise and develop the highly technical aspects of this agreement, knowing full well that the technical aspects of this agreement would be peer reviewed by other nuclear science experts. 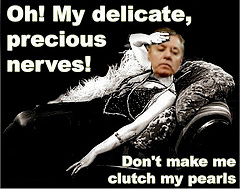 When the always terrified bedwetter Little Lindsey Graham gets hysterical and says something as patently ridiculous as the U.S. and the Security Council powers are “declaring war on Sunni Arabs and Israel,” he has lost all credibility, if this Neocon war monger ever had any. No one should be relying on such a ridiculously hysterical politician. Philip oversees the organization’s entire range of day-to-day activities, including grantmaking, communications, financial management and fundraising. He is an experienced executive and former policymaker who has also worked extensively in academia, business, international diplomacy, nonprofits and government. Prior to joining Ploughshares Fund, he was a vice president at The Asia Foundation (2005-2011), a Pantech Scholar in Korean Studies at Stanford University (2004-2005) and worked at the U.S. Department of State (1994-2001). He was part of a U.S. delegation that travelled to North Korea with Secretary of State Madeline Albright in October 2000, and was a member of a U.S. government working group that managed U.S. policy and negotiations on North Korea under President Clinton. Mr. Yun also served as senior advisor to the first U.S. Coordinator for North Korea Policy, former Secretary of Defense William J. Perry. His writings and commentary have appeared on The Hill, Foreign Policy.com, AP TV, Fox News, CNN, NBC and the Los Angeles Times, among others. He is the co-editor of a book entitled North Korea and Beyond (2006). Prior to government service, Mr. Yun practiced law at the firms of Pillsbury Madison & Sutro in San Francisco and Garvey Schubert & Barer in Seattle. He also was a foreign legal consultant at the firm of Shin & Kim in Seoul, Korea and later a vice president at the private equity firm of H&Q Asia Pacific. In other lives, Mr. Yun was a national staffer on the Presidential campaigns of Vice President Walter Mondale, Governor Michael Dukakis, and then Governor Bill Clinton. Next articleSo where’s the ‘martial law’ you nutjobs?